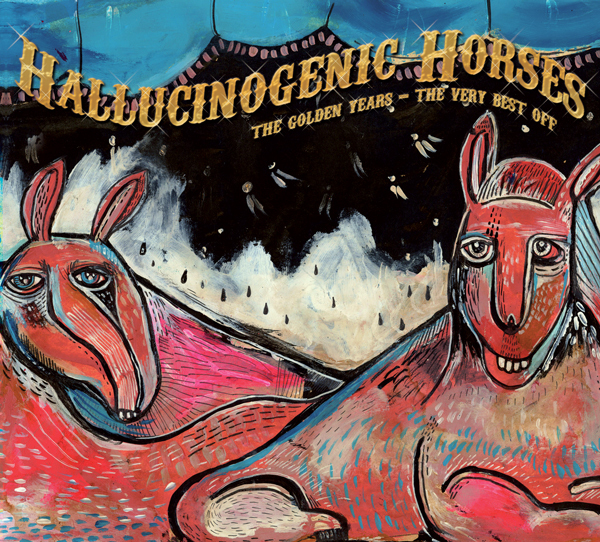 We are proud to announce the long awaited album of Hallucinogenic Horses! An album that stretches across five years in the making. The Horses will take you on a journey through beautiful landscapes, coloured forests and mysterious spaces in between. Psycho-surfing on endless mindscapes and knirkmalirkin' their way through the sessions at the racetrack, leaving every tune with it's own journey. In the stable you will find breeds like: Derango, MakadaM, Traskel, Uggla, Donkey Shot, Drone Bixie, Megalopsy and Purosurpo. Oh, and do bear in mind that it's highly possible you'll start making weird horsey noises after this journey! This is an another great massive shot from the Lost Theory records! This is the most quality music that can be found! As for me, i hope that the album will be not as a compilation of different tracks from 2005 to 2010 but as a deep constant mental journey! I hope this aspect will be important for the producers of that release. This is going to be soo sick!! Cant wait to grab this one!! Thanks a lot for the support everyone!! This is just a sneak peak of what you can expect from the album. Step into your stirrup and enjoy the ride!!! Will this be available on Saikosounds? The suspence is killing me, I can't wait to get my hands on a copy. Thanks a lot for the support! Today is the day we've waited for!! The album has been released!! Go grab your copy and enjoy the ride! !